Underneath This had the enjoyable experience of interviewing The Vibe, an interesting band from the UK whose music spans several genres. Please read more about them (from a bio sent to us and on their Facebook page https://www.facebook.com/thevibeuksite) before reading the interview that follows. 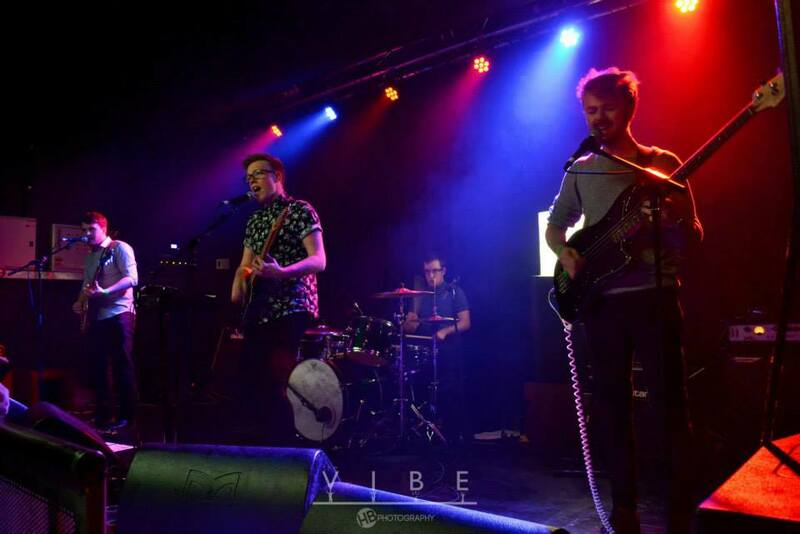 Having recently been aired by Steve Lamacq on BBC 6 Music and Amazing Radio, The Vibe have shown huge promise within the Midlands scene since 2012 with their energetic charismatic and instantly likeable form of indie pop. Combining their love of 80’s post punk, with the anthemic tones of contemporary indie, this four piece make it impossible not to stop and dance! 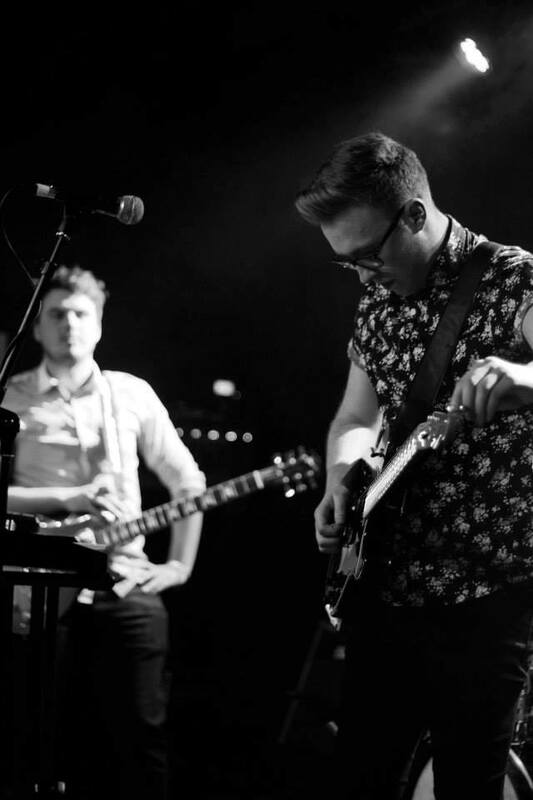 Having just completed a mini UK tour, the band have recently been in session for BBC Introducing and toured venues including The Barfly, London, O2 Academy Birmingham and Kasbah Club Coventry, all to coincide with the release of their latest record, ‘EYES EP’. Post tour and national radio play, increasing popularity is becoming apparent and January saw them opening before Depeche Mode at the LG Arena in Birmingham. The 4 piece have also supported SKATERS and Coasts this year on their UK tours. Please describe your journey of forming The Vibe. Oooh it’s a long story. 3 of us go way back to School days around the age of 13 in 2006 or something. I always remember playing covers at a school battle of the bands competition and not getting anything out of it and said to rest of the band, “we need to write songs”. 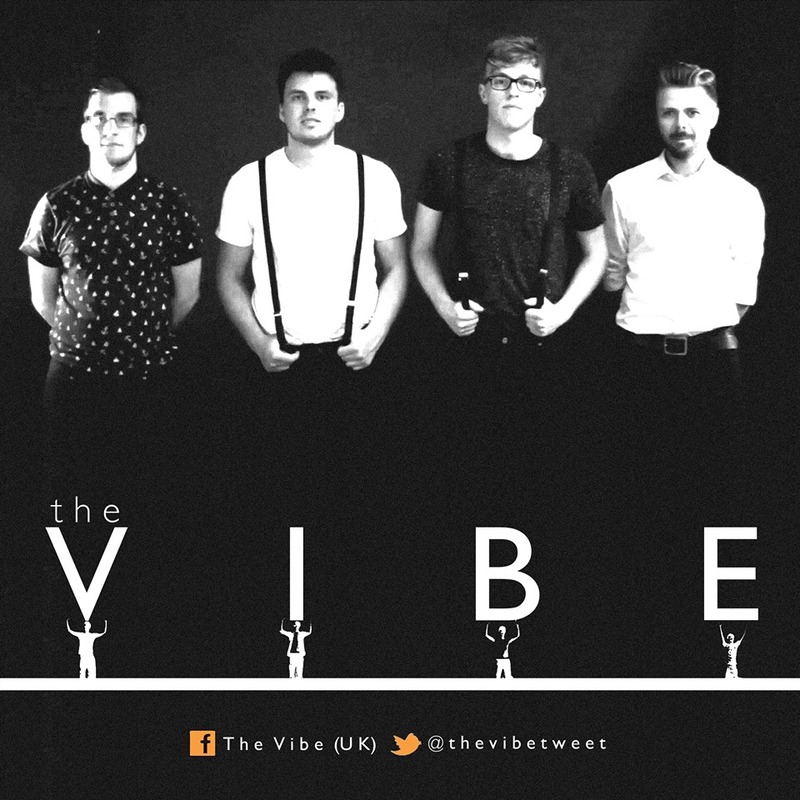 A few members and a few name changes later we became The Vibe in 2012. I think the sound we create is still evolving so the “journey hasn’t really ended in that respect. How does a sense of place, particularly being from Burton-on-Trent affect your creative process? We kind of look at the bigger picture when it comes to our creative process – I don’t think where we come from really effects it, unlike places including Manchester which are really influential on a bands sound. I guess gigs we play in Burton are inspire us to write more music that gets people going, which in our case is the more catchy and mainstream stuff. Burton has a vast range of genres spilling out of it so we don’t really get trapped in a scene or sound, which is quite refreshing in a way. Who and what have been your musical influences? As a band we all have different musical influences, Max is into his 80’s post punk, modern indie music and anything with a hook. Matt’s influences stem from heavier music like queens of the stone age. Ben is into guitar based music particularly Muse and Scott is an all rounder really! So the vast range of influences makes our sound I guess. Seeing bands live had always made us want to be in a band when we were younger. I am really enjoying your EP, “Eyes.” What does the title represent? Thanks! Glad you like it! It’s about the power eye contact can have in whatever situation. Whether it be between something as simple as a guy and a girl, it’s kind of open to interpretation. If someone you don’t know looks at you, it provokes a thought or a reaction and that’s what is about. Also the fact that in today’s society with people hiding behind social media to communicate, eye contact is almost becoming awkward, which isn’t right! How does this album compare to your “Silent Souls” EP? In terms of sound its definite progression, we were still playing around with different sounds on ‘Silent Souls’ but with ‘Eyes’ we feel like we’ve found our sound a bit more. I think our songwriting has matured and improved also as it always will do with anyone. Eyes EP is probably a bit more commercial too. Credit to Chloe Chapman. — with Ben Dexter and Max Kendall at O2 Academy Birmingham. You have described your style as “electronic” and “indie”, and I can indeed discern both kinds of sounds on the EP. How do you blend them? I guess it blends really naturally because half the band like guitar lead music and the other half are more open to electronic music so it blends quite well. When we write it usually stems from one of us and then the band develop so it inevitably has this mixture of synthesiser and guitar which makes our sound. My favourite songs by you are “Wise Man” and “The Smoker.” What inspired those tracks? Wise Man was written one weekend in a flat in London – we (Max/Ben) kind of shut ourselves off from everything and just wrote the basis of this song. Lyrically it was inspired by the breakdown of a relationship and the term “Wise Man” kind of represents the voice in your head that tells you what to do and how to overcome it and turn a negative into a positive. The Smoker is influenced by how the people of this country or indeed world are easily swayed. Anything that is hyped about by the media, like supporting a particular political party, certain newspapers support different ones, the general public just believe what they see and read. Also how everyone is sucked into the god awfulness that are reality singing shows, giving standing ovations to people who are distinctly average. People don’t always see the bigger picture and that these things are just money-making machines. It’s like they’re controlling the way people think and peoples taste. I’m convinced that there is a huge amount of bribery and corruption going on behind the scenes in Politics, Media, Sport. But we are all sucked into the game that the powers that be have created. But not everyone is as cynical to think like that, so that’s why I wrote a song about it. That was deep haha! Photographs by Helen Byrne Photography — with Ben Dexter, Max Kendall, Scott Stone and Matt Benstead at O2 Academy Birmingham. What has it been like playing live? We love playing live – it’s the reason we do it. Not every single gig is amazing but you have certain shows that make everything worth it. A particular buzz from the crowd just makes you go back for more. Do you have plans to release and/or perform any covers? If so, which? Ermm…. we don’t tend to do covers very often, I mean we have performed covers for Radio sessions for the BBC for a bit of fun. We did a cover of Bastille’s “Laura Palmer” and Lorde’s “Royals”. I don’t think it is really – I kind of disagree with feminism, I agree with equality. But in many ways I don’t think Men and Women will ever be the same purely because we are different genders that sometimes tend to do things differently because of the natural way we were made! But in terms of rights and what have you, both women and men should be treated equally! What do you like to do when not making music? Eat and drink. See our Girlfriends/Wives …. Chill out! On what projects have you been working? We’ve been fairly quiet on the release front because we’ve written a batch of songs ready to record this summer – and maybe release them as two large EPs or an Album! We will start recording in June!